(CNN) – UPDATE: National Public Radio CEO Vivian Schiller resigned Wednesday, according to the organization's website. This comes the day after tape was released of an NPR senior executive slamming the tea party and saying NPR would be better off without federal funding. The conservative activist responsible for producing an undercover video showing a National Public Radio senior executive slamming the Tea Party as "racist" and "scary" is speaking out about why he went after the organization. Late Tuesday evening, the executive in question, Senior Vice President for Fundraising Ron Schiller, issued an apology and said that his already-announced resignation would be effective immediately, instead of in May as planned. Schiller had announced last week that he was leaving NPR for a job with the Aspen Institute. Filmmaker James O'Keefe said the idea for the sting stemmed from an incident in October when NPR fired analyst Juan Williams after he said he got scared when people wore Muslim garb on airplanes. "My colleague Shaughn Adeleye who posed as one of the members of the Muslim Brotherhood was pretty offended with what happened with Juan Williams and he suggested looking into NPR after that incident back in the fall," O'Keefe said to CNN Correspondent Brian Todd on Tuesday. "My other colleague Simon Templar came up with the idea to have a Muslim angle since Juan Williams was fired due to his comments. So we decided to see if there was a greater truth or hidden truth amongst these reporters and journalists and executives." Juan Williams has since been hired full-time by Fox News. 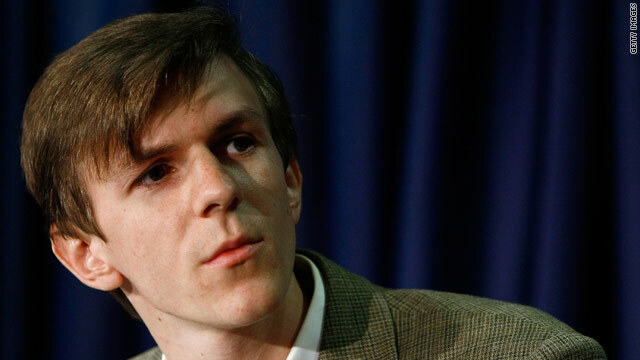 O'Keefe gained notoriety for posing as a pimp and secretly taping damaging conversations with employees at the Association of Community Organizations for Reform (ACORN). He was also involved in a failed plot to embarrass a CNN correspondent on hidden cameras. Schiller and another NPR executive are shown on the video having lunch with potential NPR donors, who were really working for O'Keefe undercover. In the video, they pose as representatives of a Muslim organization that is considering making a $5 million donation to NPR. Late Tuesday evening, Schiller issued an apology through NPR. "While the meeting I participated in turned out to be a ruse, I made statements during the course of the meeting that are counter to NPR's values and also not reflective of my own beliefs," Schiller said in a statement. "I offer my sincere apology to those I offended. I resigned from NPR, previously effective May 6th, to accept another job. In an effort to put this unfortunate matter behind us, NPR and I have agreed that my resignation is effective today." Earlier, an NPR spokeswoman condemned Schiller's remarks. "The comments contained in the video released today are contrary to everything we stand for, and we completely disavow the views expressed," said NPR spokeswoman Dana Davis Rehm. "NPR is fair and open minded about the people we cover. Our reporting reflects those values every single day – in the civility of our programming, the range of opinions we reflect and the diversity of stories we tell." Rehm also decried Schiller's statement that NPR would be "better off without federal funding," in the statement – her second released since reports of the undercover video surfaced. "The assertion that NPR and public radio stations would be better off without federal funding does not reflect reality. The elimination of federal funding would significantly damage public broadcasting as a whole," Rehm said. - CNN's Brian Todd and Dugald McConnell contributed to this report. NPR gets the ACORN treatment, with an executive caught on tape slamming the Tea Party. This was meant to vindicate Juan Williams, but I don't see how it does that. The executive in question showed an utter lack of objectivity, just as Juan Williams did. The executive in question showed a bias and prejudice against a group that his institution is obligated to report on in a neutral, accurate and disinterested manner, just as Juan Williams clearly showed. The executive in question should be terminated, just as Juan Williams properly was. Easy enough. Next! Finally Ron Schiller admits to the pervasive opinion in main stream media and in academic circles, that the Tea Party is endangering their choke hold on forming public opinion, and that enrages them. Liberals have worked long and hard to put themselves in a position where they are able to program public opinion, but more importantly to them, the Tea Party thinking is endangering their monopoly on programming children to embrace their agenda and reject any thoughts to the contrary. Thinking has once again been vilified, and the implication is that if one does not unquestioningly embrace liberalism that one is automatically, crude, phobic, racist and uneducated, a very unappealing moniker that most would seek to avoid. This maneuver is the same as setting up the framework for an argument in philosophy contingent upon a fallacy. I don't think Schiller's comments were that off base. The Tea Party does have a pretty xenophobic platform, and their vision for America is pretty scary to me too. O'Keefe is pandering to the Tea Party's prejudice by having his undercover reporters pose as members of the Muslim Brotherhood. I will make a huge donation to NPR as soon as they bring back Schiller from administrative leave. But I thought they were racist and scary?! I thought everyone knew that. O'Keefe is a world-class creep, a liar, con artist and a convicted criminal. It's time to turn the tables on this loser and put him on tape, 24/7. Turnabout is fair play! I think O'keefe and the Wiki-Leaks guy are cut from the same cloth. Have nothing better to do but destroy people's lives, and then take pride in having done it. Shame on both of you. we need more people like O'keefe on both the right and the left. I think part of the problem in this country is that we have too much respect for institutions. we need people on both extremes who choose probing and exposing over violence or hate. i'm gonna stand with this kid, even though i love npr. lol. You can't work for NPR if your privately hold the belief that the Tea Party is racist and scary? Guess I won't ever be applying for a job there. I totally agree with Schiller. The tea party is racist. Not really sure what the problem is here. People are allowed to have opinions. I think any reasonable objective view of the tea party would return concern with their general sanity and racial bias. This was the same clown who tried to pose as a Verizon repairman to spy on some liberal group, wasn't he? Man, this guy's mom didn't love him enough and it shows. "NPR is fair and open minded about the people we cover. Our reporting reflects those values every single day – in the civility of our programming, the range of opinions we reflect and the diversity of stories we tell." "Filmmaker James O'Keefe?" Are you kidding me CNN? You have lost what smidgen of credibility you once had. I would call O'keefe a scumbag, but that gives a bad name to bags filled with scum. OK, I'll say it – I think the so-called Tea Party is comprised of racists, and they are 'scary'. Nobody can fire me and a LOT of people think that, because it's true.